If you’re ready to try something other than the routinely prescribed pharmaceuticals that don’t seem to work for you, consider holistic hypothyroidism treatment. TCM, Acupuncture, Diet, and Lifestyle are four components in a holistic health management solution that can help you take control of your hypothyroidism and relieve your symptoms. Your symptoms are a result of an imbalance in one or more of your body’s systems, in this case affecting your thyroid gland, which is part of your endocrine system. If your thyroid is under-performing, symptoms can show up in your digestion, sleep patterns, energy levels, pain, and other physical responses. A holistic approach to hypothyroidism encourages your body to naturally balance itself. Your sleep patterns are disrupted. Your digestion is not functioning optimally. Your energy levels are off. You have aches and pains. You’ve have hair loss.Your memory and focus are off. 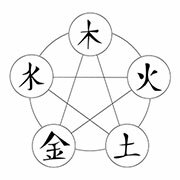 There are thousands of herbs used in Chinese medicine that, when chosen and combined properly, can help resolve your imbalance and relieve symptoms. TCM herbal therapies address the root cause and encourage your body’s natural healing potential. A classically trained TCM doctor understands how to prescribe the right combination of herbs to treat your body as a whole, as compared to Western medicine where prescriptions are written specifically for a symptom, not the underlying cause. With hypothyroidism, a combination of herbs can reduce your symptoms without the adverse side affects most people experience with pharmaceuticals. 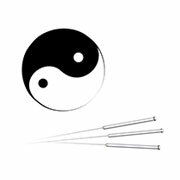 Acupuncture improves your circulation through the direct needling of points that control blood flow. In fact, a recent study found that acupuncture can affect blood flow of the peripheral, mesenteric, and retrobulbar arteries, meaning that circulation through your major arteries is stimulated by acupuncture. Improved circulation enables your body to get both the nutrients and oxygen it needs to thrive. If you want to increase your energy and general well-being, acupuncture is an effective tool to treat the symptoms of hypothyroidism and decrease aches or pain. Acupuncture is also used to stimulate your endocrine system to enhance your body’s ability to resolve pain, improve your sleeping patterns, aid digestion, and increase overall well-being. It’s true – you are what you eat. Today’s modern diet is overloaded with processed foods that don’t nourish your body to help fight off disease and illness. 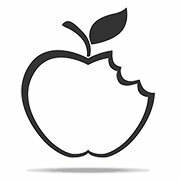 To improve your health at the cellular level, eat a diet rich in organic, grass-fed meats and wild caught fish combined with organic fruits and vegetables and gluten-free grains. These nutrient dense foods stimulate your body’s ability to repair itself and eliminate illness. Choose organic foods that are free from hormones, pesticides, and other additives and chemicals to help your body clean out the toxins that disrupt your thyroid. When you feed your body nutrient depleted foods, your digestion is the first thing to suffer, and when digestion suffers, the rest of your body is negatively impacted. Improving your digestion can eliminate chemicals and toxins that cause disease, and help you gain energy by fueling your body the way it was meant to be fueled—organically and naturally. Most people need 7 to 9 hours of sleep each night. If you’re not getting at least 7 hours, you’re likely not giving your body the essential rest it needs to restore and repair. Commit to a regular sleep schedule by going to bed at the same time every night and waking the same time each morning. It doesn’t work if you lose sleep every week and try to catch up by sleeping extra hours on the weekends. Create a sleep schedule so that you can recover each night. Getting more sleep will help, but you’ll also want to manage stress because too much stress can cause fatigue and create inflammation, which can cause illness and disease. Managing, reducing, and eliminating stress helps keep your immune system in balance, and can help relieve many of the symptoms of hypothyroidism. Detoxing twice a year will support your liver and greatly improve your health and vitality. You see, your liver is the second largest organ in your body and is responsible for filtering toxins from what you eat, drink, breathe, and absorb through your skin. Cleanse your liver with supportive whole foods and TCM herbs to reduce inflammation in your digestive tract and throughout your body. 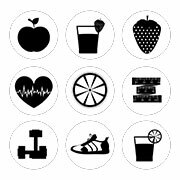 And finally, when you talk about the Lifestyle component of holistic hypothyroidism treatment, you can’t forget to include physical activity. Physical activity is a simple way to help your body function optimally because 30 minutes a day for 5 to 6 days a week is all you need to keep your body healthy. So get your body moving to elevate your heart rate and improve your circulation today, because the health of your heart depends on it. Movement also releases endorphins that aid in your general well-being. Dr. Jeda Boughton is a doctor of Chinese medicine in Vancouver BC, Canada, and the founder of the Natural Thyroid Health Program. She teaches women who suffer from thyroid disorders how to heal naturally through alternative medicine. Jeda Boughton – who has written 49 posts on Natural Thyroid Health. Thank you Fawn! I hope it helps in some way! Thank you for the kind words Barbara! This is. Going to be very informative. Looking forward to reading. Thank you for reading my materials Delilah! I read parts of your new book thru this email. Acupuncture, getting enough sleep, clean eating, and hormone disruption along with digestion issues seem to be the key. I’ve tried so many things and I’ve been on 75mcg of synthroid which hasn’t helped. So now I’m looking into a holistic approach to help me with my problems. Thank you can’t wait to read your book!!! 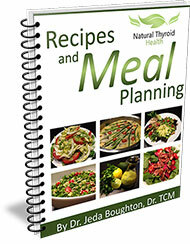 Featuring Healthy Meals That Promote Thyroid Health. Avoiding The Toxic Metals That Block Production of Your Thyroid Hormones. Can Natural Thyroid Hormone Replacement Work For You? Hypothyroidism Natural Supplements – It’s Hard To Know What to Take! Synthetic or Natural Thyroid Hormone?